Update 5PM—In a sign that the police department is still not quite ready for hiring 1,000+ new officers, most of the 19th District's newly-arrived probationary officers are training with beat cops instead of Field Training Officers. Twenty probationary police officers who graduated from the Chicago Police Academy on Sunday have been assigned to the 19th (Town Hall) District, according to a department source. Town Hall serves all of Lakeview plus parts of Lincoln Park, Uptown, North Center, and Lincoln Square. 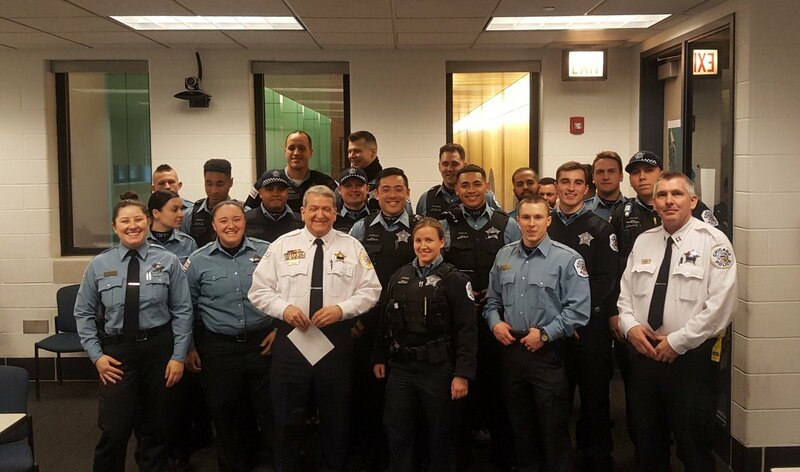 Another twenty rookies are being assigned to the 1st (Central) District, which serves the Loop, and the 18th (Near North) District, which protects the area between the Chicago River, Lake Michigan, and Fullerton Avenue. That’s according to a tweet by the 1st District CAPS office and information in an email from Alderman Michele Smith, who serves much of Lincoln Park. 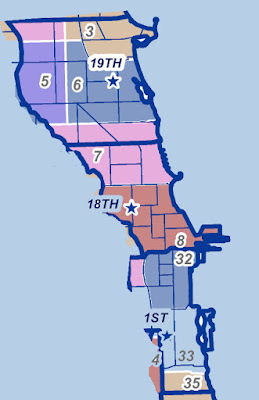 As CWBChicago reported exclusively on February 21, the Town Hall district has lost 108 cops since Emanuel took office; Central has lost 26, and Near North has lost 45. The new probationary police officers will start to reverse those numbers. The remaining 25 graduates from Sunday’s class will be split among the Wentworth, Near West, and Shakespeare Districts, according to a tweet by the mayor’s office. Those newly-minted officers will have their hands full. The 18th and 1st Districts are suffering under a withering rise in violent crime. As CWBChicago reported earlier this morning, robberies are up 50% in Near North and 106% in the Loop this year compared to 2017. To fulfill that promise, the department will need to send at least 100 more cops to Town Hall plus officers to replace any that retire or transfer out between now and then. That’s a tall order, but at least we have something to measure their performance by. The 19th District has shed nearly a quarter of its manpower under Rahm Emanuel. One of his first moves was to force the merger of the 19th and 23rd Districts into a single entity. The result was an almost-immediate surge in violent crime, backlogs for police assistance, and a back-door shedding of 132 cops despite promises that manpower would not suffer under the merger. A police source also reported that, despite budgeting for 200 more detectives in 2018, those promotions will not be happening until autumn. “It has been a year since a new class was made and there has been a year’s worth of retirements,” the source said.